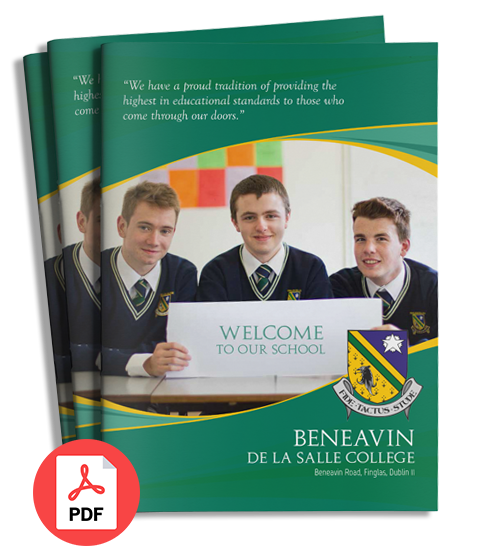 We are all very conscious of value for money at the moment and so the Board of Management in Beneavin College are very keen to keep costs as low as is possible for parents and as a whole school approach to supporting every family we have a book rental scheme for first to third years. Parents / guardians who wish to avail of the scheme must pay in full by the end of June. Payment can be made in installments. Third Year students return all texts at the conclusion of the State Examinations/year . This deposit carries forward to the following year if all books are returned in good condition at the end of current year. The security deposit will be held against the safe return of all books rented to pupils under the scheme. If books are lost or seriously damaged, a percentage or all of this deposit will be retained to cover such loss or damage. Full compensation for lost books will be required before re-admission to the scheme. However, this deposit will be returned should a pupil leave the scheme having safely returned all the rented books within an acceptable condition of use. Purchase of workbooks, disposable materials and stationery will remain outside the scope of this scheme and remain the responsibility of the parents. Packs of books will be distributed to students at the beginning of the school year. Name tags/barcodes will be placed in advance on each book. All texts are bar coded using a computerised book rental package. Each student’s text books are recorded on the system. Students are responsible for all text books issued to them by the school. While all textbooks remain the property of the school, students are required to handle them with care. An undertaking to this effect is included in the book rental contract which students and parents/guardians sign in order to participate in the scheme. Work books and examination papers/stationary are not supplied by the scheme. to participate in the Book Rental Scheme. Please call the office in Beneavin for details of the costings etc.